The Havok was born to ride fast and long, to keep you comfortable as you fly in the face of the elements. Made for adventure, whatever your adventure is today! 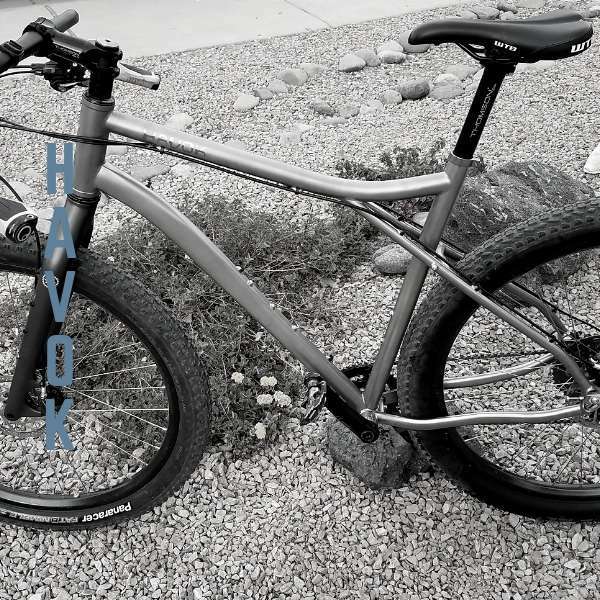 The Havok 29+ titanium frame dampens washboards and ruts when you’re bombing the gravel. It’s designed to run anything from skinny gravel tires to 29×3.0 plus tires so you can set it for the terrain you’re setting out to conquer. The front triangle is big for your frame bag. Triple bottle mounts on the down tube and rack and fender mounts allow multiple bikepacking and touring gear options. Find out more about the Havok.